Statements / Press Releases | Stop Samsung - No More Deaths! 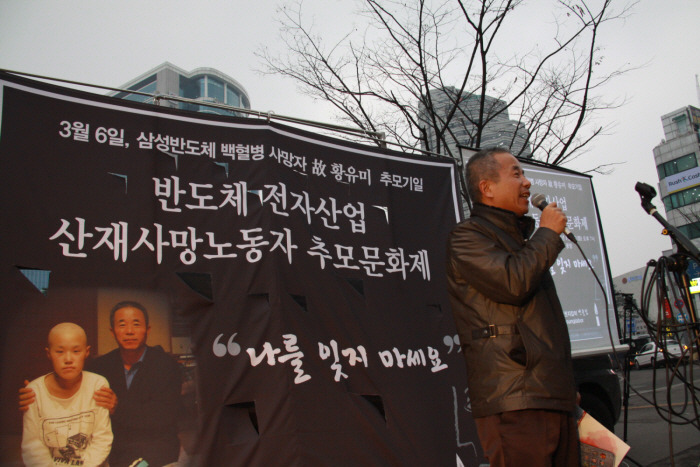 On March 6th 2012 , SHARPS held a press conference at the Gwangwhamun square to announce the death of Ms.Kim from breast cancer and the demand of compensation to the government. KCOMWEL announced its recognition of the death of Ms. D.E. Kim from breast cancer as an occupational death from her work at Samsung Semiconductor plant. 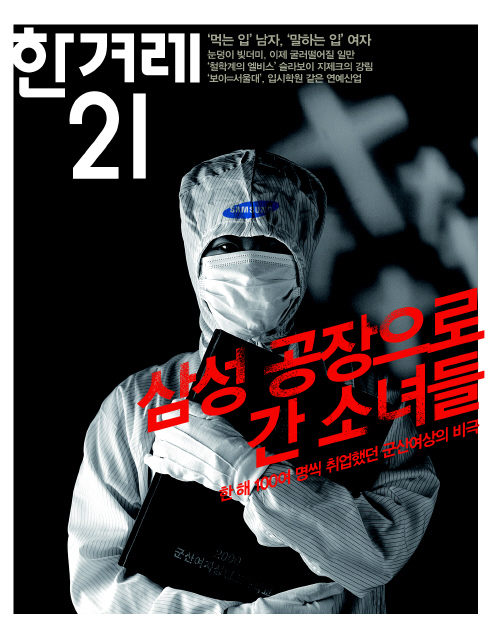 This is the second recognition of occupational disease of Samsung Semiconductor workers by Korean governments. The first case was aplastic anemia. The decision of KCOMWEL to compensate for her death was made based on its recognition of work-relatedness of her cancer with exposures to radiation, hazardous chemicals, and shiftwork with nightwork which is classified as a probable human carcinogen by IARC. It is known that 70~80% of breast cancer is developed by environmental factors. It is very rare to get malignancy like breast cancer at age of early 30’s. Night shift known as a carcinogen to human and stress which can disturb immunity as well as chemicals and radiation can contribute to develop the breast cancer of Ms.Kim. Ms.Kim was born in 1976. She entered Samsung Semiconductor plant at Giheung in May 1995 at age of 19. Her first duty was done at the line number 7, which had just been set up and unstable. She worked at the Ion Implantation, photo, and etching processes in the same factory until January 2000. 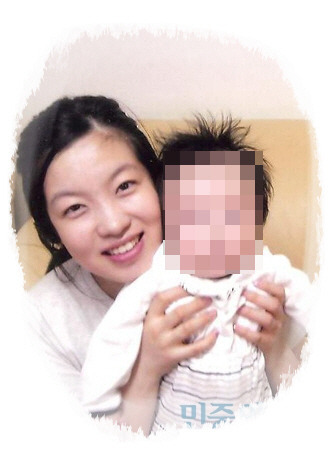 After leaving the factory, Ms.Kim married and became a mother of two children. In August 2009, when she was 33 years old, stage Ⅲ of breast cancer was found. Despite of mastectomy and treatment, cancer spread to the bone and liver. SHARPS had supported her to prepare documents to demand workers’ compensation to the government, but she passed away too early in March 2012 at her young age of 36. So now the compensation is for her family including two young children, not for her treatment. The Ministry of Labor and Employment should be more active in prevention of occupational diseases by eliminating hazardous chemicals, reducing nightwork, and implementing protective policy for workers, as well as more active in recognition of occupational disease to secure workers’ right. Most of all, Samsung should apologize to all the workers and their family who has been suffering from occupational diseases, and take a responsible and transparent steps to prevent further tragedy. Sitting quietly on the edge of Kum River, the southwestern city of Kunsan was a bustling port city under Japanese colonial rule of 1910-45 when it was a conduit for the Japanese to siphon rice off the Korean peninsula. The colonial master called the city Kunsan of rice. In the 1960s-80s, largely left out of South Korea’s fervent industrialization, Kunsan’s wealth declined. For young girls living in a city whose skyline is still dominated by colonial edifices and floating piers, working at Samsung Electronics Co., Ltd., was a giant leap forward. The four former Samsung Electronics employees, Yun Seul –ki and Yi Ah-young, both 31 years old; Kim Mi-seon, 32 years old; and Chung Ae-jeong, 35 years old, went to the same Kunsan high school. Yun and Yi are class 2000. Kim is class 1998 and Chung class 1996. They all spent least a year together with one or two of the other girls at Gunsan Girls Commercial High School, perhaps singing together the refrain of their school anthem: “My proud Gunsan Girls Commercial High.” About a decade later, Yun died. Yi is suffering the aftereffects of surgery. Kim is on her sickbed. Chung lost her husband to a disease he contracted while employed at Samsung. Their medical conditions are: severe aplastic anemia; intermediate tumors in the head and neck; multiple sclerosis; and leukemia. It is unlikely that other Gunsan graduates share the bitter fate. Each contracted the disease while working at the Samsung LCD plant in Chonan or the semiconductor lab, and the LCD plant in Kiheung. Over the gate of Gunsan Girls Commercial, a banner flies to congratulate recent graduates on their first jobs. Six are employed as operators at a Samsung Mobile Display plant in Chonan. About thirty have jobs at other semiconductor makers. Even before graduation, the girls left home to partake in production of semiconductors, locally dubbed “the rice of industry.” In the cleanroom, no speck of dust was allowed. They stripped off their school uniforms and slipped into dirt-free garments covering themselves from head to toe. They covered their long or short hair, and their brown eyes were exposed, still sparkling. The rice of industry began to engulf the young girls from a small and old vocational school. Yi began work at Samsung in June 1996, about a month later than Yun. Yi still vividly remembers the day she entered the company fifteen years ago. For a vocational school girl of a small city, working at the world’s biggest electronics maker was the source of pride. Without standout academic credentials, one could not land a job at Samsung. A year prior to her employment, Only 40 out of 100 applicants from her school received employment offers. Samsung sent interviewers to the school. Three interviewers interviewed about seven applicants together. “Semiconductor jobs were popular because they paid well, and had good dormitories. I wanted a Samsung job because I wanted to make a lot of money,” said Yi. A month later, she got on board the bus sent by Samsung for its in-house training facility. Only five of her 47-student homeroom class landed Samsung jobs. .
Yi was posted as operator to the chemical vapor deposition process, in which she used chemical gas to add dopants to a pure semiconductor to modify its electrical properties. Working on a three-daily shift was not easy to manage. She had skin rashes and even collapsed. “My health got worse very much. I found it hard to get adjusted to the company,” said Yi. She resigned as operator in April 2002. The following year, she went to college. She often became sick for no particular reason. She felt exhausted, as if falling victim to a severe flu. “Once I got sick, it lasted a month,” Yi said. During four months a year in those years, she felt feeble. She thought it was a tough flu to beat. She took medicines and saw a doctor. The illness continued to hound her even after college graduation. It was the summer of 2009 when she began to see doctors at big hospitals in Seoul. They found intermediate tumor glands in her neck and head. One of her doctors described them as glands in her nervous system. “The condition is so rare that there are three patients with it a year,” Yi quoted her doctor as saying. Yi said, “I had the tumors removed quickly. I suffered facial paralysis.” The facial paralysis has become less severe, and she now works at a new job. Yun is the 56th victim of blood disorder clustering in the semiconductor industry as profiled by SHARPS. She died at a Seoul hospital on June 2. “I will live in Japan.” This Yun often said to her mother. A Kunsan native, Yun wanted to go to college in Japan. She thought herself Japanese. Yun was a fan of SMAP, a Japanese teenage pop band. Thirteen years of struggling with severe aplastic anemia has deterred her dream. Yun wanted to go to a prep school to improve her chances for college. However, at the request of her mother, Shin, she went to Gunsan Girls Commercial, a high school whose graduates often land good industry jobs. Five months into the job, Yun fell on the factory floor. She thought it was a flu, the one that got worse. She did not get better. Yun was diagnosed with severe aplastic anemia, a condition where bone marrow does not produce sufficient new cells to replenish blood cells. Yun, herself a regular blood donor since high school, was an unlikely victim of the disease. Her long fight against it began. In 2002, she could nevertheless begin to study Japanese at a local college. Her condition grew worse. She stayed home longer, passing time by reading Murakami and other Japanese fiction. Learning news that a former Samsung employee would receive workers compensation for aplastic anemia, she decided to file the request. But her time ran out. She died in May. Kim is two years senior to Yi and Yun. In 1997, she began to work as an operator in another LCD plant of Samsung. She went through what the other two experienced two years sooner. It was March 2000 when she became sick, about six months apart from Yun. Kim is under treatment in Seoul for multiple sclerosis and optic neuritis. Multiple sclerosis, the cause of which is yet unknown, can be caused by exposure to hazardous chemicals and excessive stress. It damages the myelin sheath, which in turn slows down or blocks messages between the brain and body. Kim is visually impaired because of the optic neuritis. “They paid me 10, 000 won (US$10) in stipends after the interview. I was so happy,” Kim said. About 100 girls from her class went to work at Samsung’s LCD plants. “It was during the 1997 financial meltdown [in the country]. There were fewer jobs going around. I was glad to get selected by a big corporation with good pay,” she added. She was hired in June 1996 and deployed to a soldering job after months of training. “At first, I was responsible for soldering taps on LCD panels after cleaning them. After a year, I was responsible for lead soldering,” she said. After three years into employment, she became paralyzed on the left side of her body. She could not lift the left arm anymore. There is no history in her family of any such condition. The memory chip industry experienced a great boom in 1995. The release of Windows 95 boosted prices of memory chips. Chung, a mother of two, is now a preschool teacher in the city of Siheung. A Gunsan Girls Commercial graduate, she is a victim of the occupational disease cluster at Samsung. She lost her husband, himself an employee of the company, to leukemia. Chung followed in the footsteps of her sister, who went to work at Samsung after graduation of the same high school. “If you did not find a white-collar job in Kunsan, then Samsung is the next on your list,” she said. In October 1995, Chung was employed as an operator at the plant in Kiheung. Many of the young girls feared leaving home to work elsewhere. Samsung’s well-appointed dormitories eased the fears. “They even considered our conduct records. They preferred upstanding students without truancy and cutting records.” Chung said. About 150 graduates including her landed jobs at Samsung. Leukemia and other cancers don’t require working at Samsung Electronics. However, it is unusual for a disease to cluster at the same production line of the same plant in the same period. The working conditions ten years ago at the production line that no longer exists is the point of contention between Samsung and former employees over whether to determine their medical conditions are occupational diseases. Samsung and the government focus on the now-disintegrated production line, while the victims point to the decrepit machines used on the line. Concerning Yi and Kim, the Samsung spokesperson said, “The occurrences of the diseases should be measured against the number of graduates. It does not appear scientific when you combine two different diseases to create causality because the two former employees went to the same school.” Asked to measure the occurrences in a particular place, during a particular process and in a particular period, he answered that it made little sense. On June 14, Samsung Chairman Lee Kun-hee paid respects at the mortuary of four Samsung C&T employees who were killed in a helicopter crash in Peru. He told the conglomerate to revamp safety measures for Samsung employees working overseas. There are fifty-six mortuaries the tycoon passed by. A lack of dirt, all white, is not necessarily clean. The girls’ dirt-free suits were dreadfully white. We lost another life of young Samsung worker at 7th May. This is the 55th Death from Samsung. Lee Yunjeong, who had been born in 1980, worked in Samsung semiconductor Assembly & Test factory in Onyang for six years from 1997 to 2003, and got diagnosis malignant brain cancer at 2010. After two-year suffering from the brain surgery and chemotherapy, finally she passed away at 7 May 2012, in her age of 32, leaving the loving husband and two children. Lee Yunjeong had applied for Workers’ Compensation to the Governments, which is one of Korean social insurances, but the Governments refused to compensate her because she could not prove which toxic chemicals she had been exposed to. Lee raised lawsuit against the Governments’ decision at 2011, but could not survive long enough to see the result of lawsuit. Samsung has involved the lawsuit by hiring lawyers to support the Governments and to prevent the workers and the families from getting compensation. Her funeral will be held at the morning of 10th May(time in Korea) in front of Samsung headquarter building in Seoul. Korean Government and Samsung should apologize in front of the death of Lee. Korean Government and Samsung should guarantee the solemn funeral ceremony can be finished in peace at May 10th. Samsung should stop undermining the just right of workers to be compensated, and respect the labor rights. 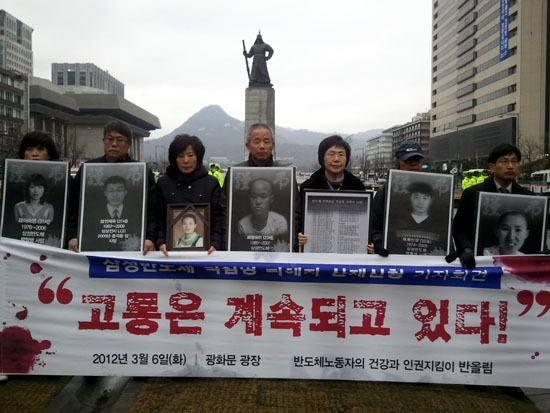 Korean Government should compensate to all the victims from electronic industry including Samsung. On 10th April 2012, Samsung occupational victims in the semiconductor industry received a major boost forward in their long struggle. Today, April 10, The Ministry of Employment and Labor announced its recognition of the aplastic anemia suffered by Ms. Jisook Kim as an occupational disease from her work at Samsung Semiconductor Onyang factory. 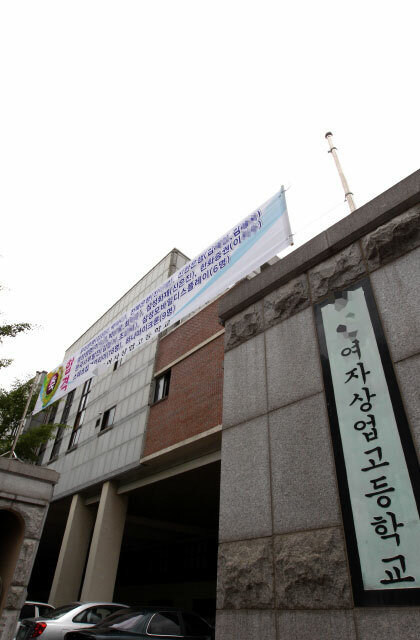 Ms. Jisook Kim is the 18th victim to make a workers’ compensation application with SHARPS. In SHARPS we believe this recognition of Ms. Kim’s aplastic anemia as an occupational disease by KCOMWEL is a completely correct and sensible judgment. The work conditions of Ms. Jisook Kim were almost same as for the other victims of Samsung Semiconductor Onyang factory who had applied with SHARPS for workers’ compensation since 2007. In that time, KCOMWEL had investigated the illnesses (such as leukemia, malignant lymphoma, aplastic anemia and related blood diseases) of the same type as Ms. Kim which had been reported in the same workplace, but it had said that no cancerous materials like benzene could be found, and had repeatedly refused to give recognition of the illnesses as occupational diseases. But now it has recognized the worker’s disease as an occupational one in the case of Ms. Kim’s application. This essentially shows KCOMWEL’s own recognition that its previous refusals to recognize occupational disease had been wrong. We can say that with the approval ruling for Ms. Jisook Kim, KCOMWEL has set a new benchmark. We believe that this opens a path in the future for workers’ compensation approvals for victims of leukemia, malignant lymphoma, aplastic anemia, and other illnesses, not only in Samsung but also in every semiconductor factory. There are so many cases that should already have been approved for workers’ compensation by now. Although we feel it is very late for KCOMWEL to give approval of workers’ compensation for the first time now, five years after leukemia and other diseases in semiconductor factories had become known, we still gladly welcome the ruling of KCOMWEL based on reason and truthful evidence, even if only now. Above all, we can’t help but be glad that this recognition ruling will give at least a little comfort to the victims who struggle day by day to cope with their diseases like aplastic anemia. Moreover, this decision opens the way for workers’ compensation approval for occupational disease victims of Samsung Semiconductor who had previously been rejected for compensation and who are now in civil lawsuits -Chang-ho Song, Eun-kyung Kim, Myeong-hwa Yoo, Yoon-jung Lee, Yoo–mi Hwang (d), Sook-young Lee (d), Min-Woong Hwang (d), and others – as well as other victims. Lastly, this is the chance for Samsung to stop insisting and deceiving the public that it uses no cancerous chemicals and that the sicknesses of the workers are not occupational. Instead, with the decision of KCOMWEL to recognize Ms. Jisook Kim’s occupation disease, Samsung should admit there was a serious problem in the work conditions at its semiconductor factories, and apologize to the victims and to the public. For this, the first step of Samsung should be to stop to its interference (application to supplement the lawsuit) in the civil lawsuits of the victims for workers’ compensation. These are the reported and known cases; how many more sick victims and deaths might there be which have been unreported? Workers must be informed about the hazards they face at work; their rights to information and protection must be respected; and their lives must be treasured. Until all these are achieved in the industry, particularly at Samsung, the number of sick and dead victims will only keep rising.